We provide some of the highest quality and affordable cremation for Fort Worth families. We feel that families should not have to sacrifice quality service for lower cremation prices. Losing a loved one is difficult enough; the added stress of worrying about how you will finance a cremation or funeral is not needed. 24 hour services of funeral directors and staff to help you and your family; planning and directing the funeral and disposition; overhead; coordinating with cemetery and crematory. Administrative staff to file paperwork, permits and required legal documents. Removal from place of death within 25-mile radius of DFW area, bathing, embalming and other sanitation and care of the deceased. Dressing, casketing, cosmetics and arranging stateroom. Use of our facilities and greeting staff for viewing/visitation. Use of our Chapel for the funeral service; or staff and equipment for a service held at your church. Funeral coach within a 25-mile radius of the funeral home. Register Book and Memorial Service Folders. Handling flowers, assisting your friends and family at visitation and the service. 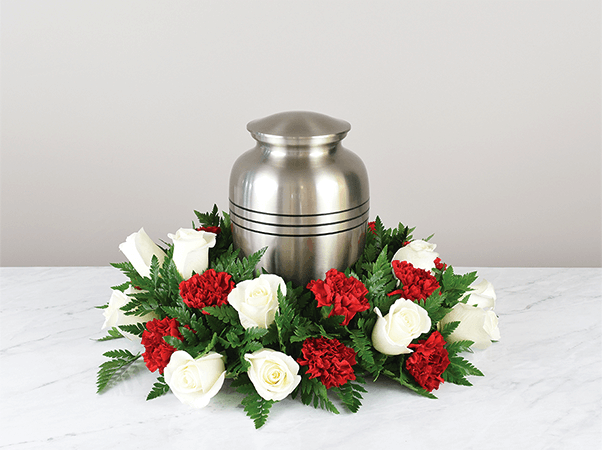 Includes our beautiful ceremonial wood rental casket, which includes the required cremation insert. Use of our Chapel for the memorial service; or staff and equipment for a service held at your church. Handling flowers, assisting your friends and family at the services. Memorial service conference with funeral staff and coordination of memorial service. Use of rental casket and interior insert. Medical examiner and crematory fee. Removal from place of death within 25-mile radius of DFW area and care of the deceased. Handling flowers, assisting your friends and family at the service. Removal from the place of death within 25-mile radius of DFW area and care of the deceased. All Packages are for regular business hours M-F 8a -4p. Additional charges will apply outside of these hours. The above listing of cremation services just provides a quick overview. We are flexible and do allow for customization. Your loved one will be attended to by certified crematory operators. All of them have been thoroughly trained to be conscientious of details and to show compassionate care throughout the cremation process. We believe in prompt service. We will notify you as soon as your loved one’s ashes are available, and we will safeguard the urn until you are ready to receive the ashes. For complete details of our cremation services, please call us at (817) 528-1880 or send us an email to robertsfamilyfuneralhome@gmail.com.